So sorry to have been away for so long. I have been dealing with some health problems and personal issues and all of my obligations (and art work and everything else) has been completely abandoned for the past 2+ months. I'm trying to get back into it all now as I am starting to feel somewhat more human these days. Huge, HUGE, HUGE apologies to all of you waiting on your artwork from the giveaway . I will complete it and get it to you as soon as I can. The only thing I have worked on recently is this new knitting project; it's easy to take along to doctor's offices. 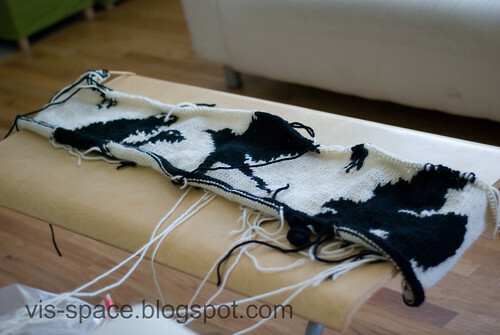 I am interested in the idea of creating large, 2D art in knitting. 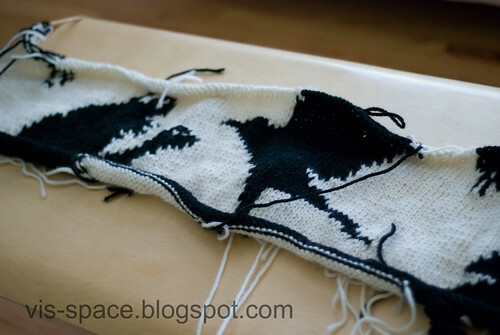 I also like how graphic designs look in knitting. 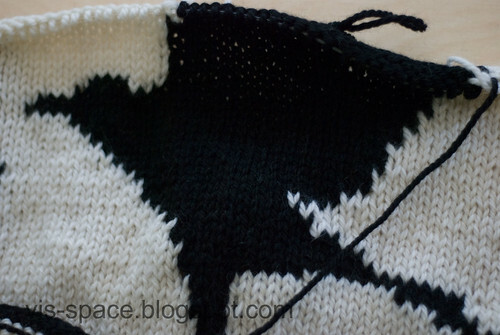 I'm experimenting for only the second time with intarsia for this, so it's a bit ambitious to say the least. I haven't measured it, but it's approximately 50" in width. I hope it will turn out good enough to hang! 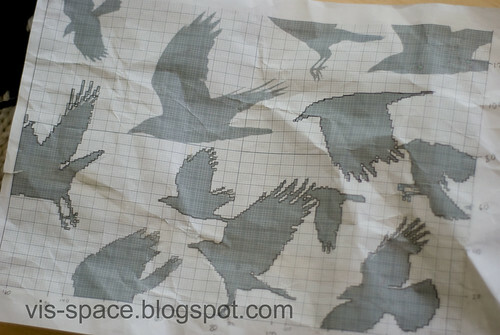 The design is a group of crows in silhouette. Did you know a group of crows is called a murder? Here is the "design" I'm working with. You can see, I am kind of making it as I go, and drawing in the stitches when I get to the section to be worked on. You can read more details about the project and see the latest update on it also on my ravelry project page .